MOSCOW, January 23. /TASS/. On January 20, countries-guarantors of the Syrian ceasefire - Russia, Iran and Turkey - agreed on the lists of participants of the Syrian National Dialogue Congress due in Sochi on January 29-30. However, not all those invited have voiced their readiness to attend the forum. Russia continues outlining the goals of the Sochi Congress. A delegation of Syria’s unified opposition, the High Negotiations Committee, led by Nasr al-Hariri is currently in Moscow. The opposition members met with Chairman of the Federation Council’s International Affairs Committee Konstantin Kosachev and Foreign Minister Sergey Lavrov. Kosachev said Russia is not interfering in Syria’s political settlement and respects people’s right to determining their country’s fate. "Attempts are often made to accuse Russia of taking some sides in the intra-Syrian conflict. This is not true. We are resolute in taking side just in one issue - the issue of suppressing hotbeds of terrorism in Syria," Kosachev said. Al-Hariri said the opposition does not fully understand the goals of the Congress in Sochi. When asked if the delegation plans to arrive in Sochi, he said the issue was still discussed. "We want to have all information on the participants, the agenda and goals," he said. "Unfortunately, by now we don’t have understanding on this." The Russian senator noted that the Congress is not an alternative to the Geneva process as representatives of the High Negotiations Committee said earlier. Speaking on the prospects of the political process, al-Hariri said Russia should have a central role here and called to look for useful ideas. He also said the latest round of intra-Syrian consultations in Geneva did not bring success as the government was not ready to seriously discuss fulfilling UN Security Council’s Resolution 2254. Russian Foreign Minister Sergey Lavrov told the Syrian opposition members about the idea of the upcoming forum aimed at ensuring the efficiency of the UN-mediated Geneva process on the Syrian settlement. "We hope all who have any influence on various opposition groups will help ensure a really inclusive nature of the intra-Syrian dialogue," he said. All key regional and external players are invited to take part in the Congress. Moscow also notes that the attempts to call in question Russia’s sincere efforts are counterproductive. Syria's opposition chief negotiator Nasr al-Hariri called to draft a new treaty for combating terrorism and complained that the Astana agreements were not working in some areas of the Syrian de-escalation zones. Lavrov said the reason for non-implementing the Astana decisions in Idlib and Eastern Ghouta is that Jabhat al-Nusra (terror group, outlawed in Russia) feels there like at home. "Should the problem with al-Nusra be resolved, with a really consolidated front, including the US-led coalition, confronting it, I am confident that the humanitarian situation in Idlib and Eastern Ghouta would have been different, much better," he stressed. The Syrian National Dialogue Congress is scheduled to be held in the Russian Black Sea resort city of Sochi on January 29-30. Along with the Syrian sides, it is expected to be attended by observers, including from the United Nations. In all, the congress is expected to bring together about 1,500 participants. 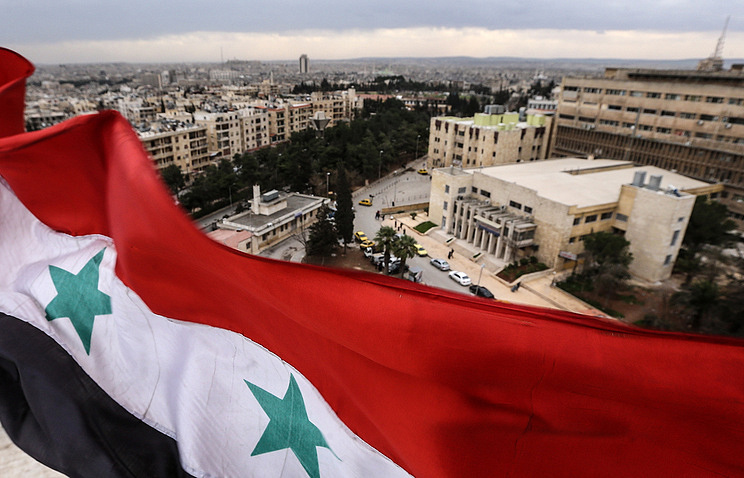 The congress’ key task is to set up a commission on working out Syria’s new constitution.